Together with the website hosting services we offer, you can expect a regular network uptime - thanks to our completely unique hosting platform occupying across different data centers, we can safely provide you with a 99.9% network uptime warranty. In a managed hosting environment, the service provider owns and is responsible for the data center, network, devices, operating system and application infrastructure components, providing a stable operating environment for your applications. 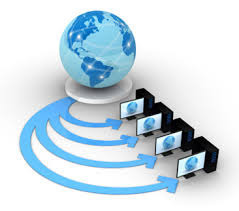 The company has high end Windows and Linux web servers, VPS and mail servers placed abroad and India. These servers support almost all languages e.g. VB.net, C#, PHP, Cold Fusion or Python etc. Company provides latest cantrol panel for hosting accounts. Whether you are looking for a custom website design, enhancing your existing site or launch your site with domains, website design, hosting, and online marketing. Various Hosting plans in Windows and Linux. If you think your company is big enough to empower its own email or Blackberry server but still want the added benefits and productivity that these tools bring. Then believe it’s not a trouble for you anymore! Thus Seasia Infotech hosts your email and takes care of all your needs of email and web hosting services. Cpanel is a control panel software used for managing Linux based hosting. It is easy to use panel for controlling and using features like email accounts, domain, sub domains, DNS services, files, folders and many other features of different user accounts and servers. cPanel can be used in conjunction with WHM(WebHost Manager) which is used to create and manage new Cpanel accounts. Buy our Managed WordPress Web Hosting, You create your own dynamic site. We manage your setup, backups and security. Wordpress hosting comes with pre-installed themes which you can activate, customize and your website is live. Each annual WordPress Hosting plan and Domain Name Registration comes with a Free Domain Registration. 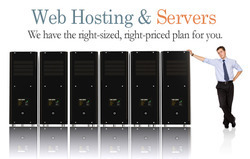 Choosing Website hosting plan as per your needs is very important component in the website building process. Website hosting looks simple step but there are factors which are hardly considered by hosting service buyers or revealed by hosting service providers.